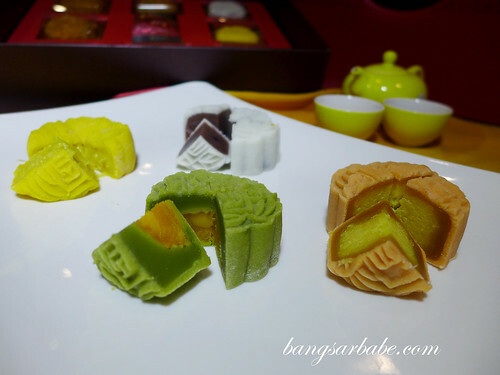 With the Mid-Autumn Festival happening this September 8, many F&B establishments have come up with their version of mooncake be it snowskin, baked or chocolate. 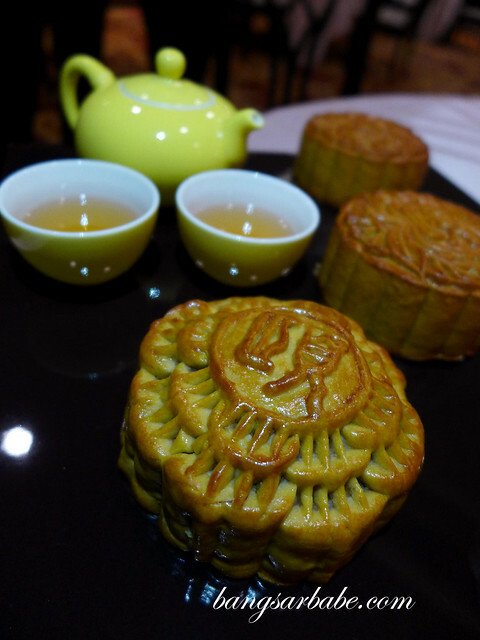 At Ee Chinese Cuisine, mooncakes are a feature from August 4 till September 8, 2014. During the recent preview, I tucked into a sumptuous dinner comprising Cantonese favourites, like the fish broth in mini claypot. I’ve dined at Ee several times in the past 5 years – mostly for work meetings and sometimes, for a publication I freelance for. So I knew the food was going to be good. The gratinated Canadian oyster with lemon cheese sauce tasted as delicious as it looked. 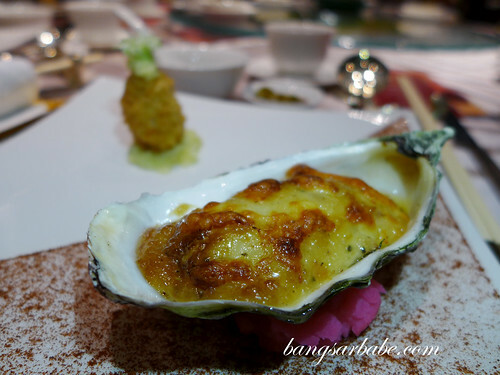 Oyster was plump while the cheese sauce had just the right balance of richness. The prawn dumpling was prepared like a “siu long bao”, where there was a bit of broth at the centre. I liked this too. 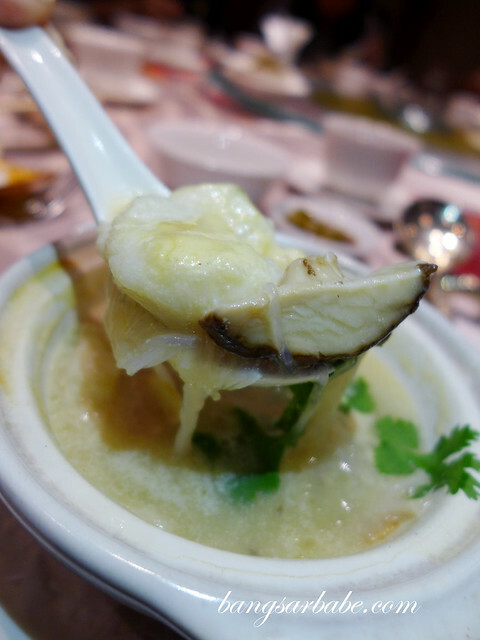 But the star of the dinner was definitely the fish broth in claypot, served with mushroom, lotus root and fish mousse. The broth was thick and each spoonful was packed with flavour. This reminded me of the double boiled supreme soup I had in Hong Kong. 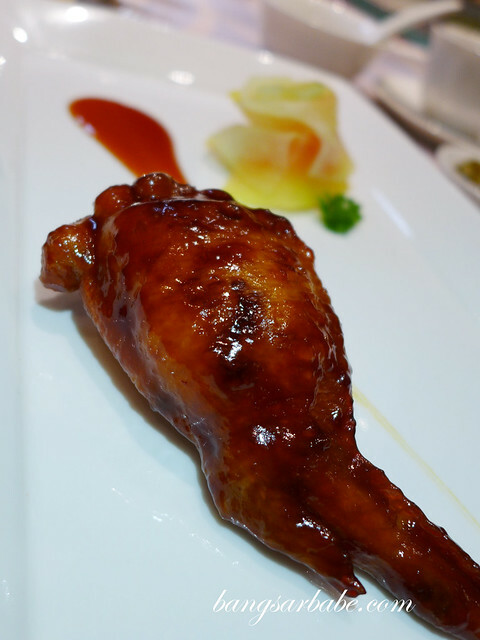 Boneless, for a fuss-free dining experience! 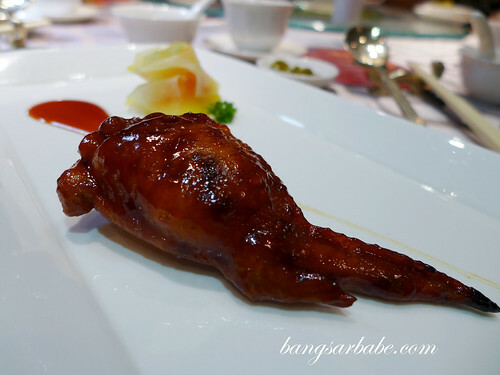 Chicken wings are usually a messy affair but Ee’s version was deboned, stuffed with minced prawns and glazed to perfection. 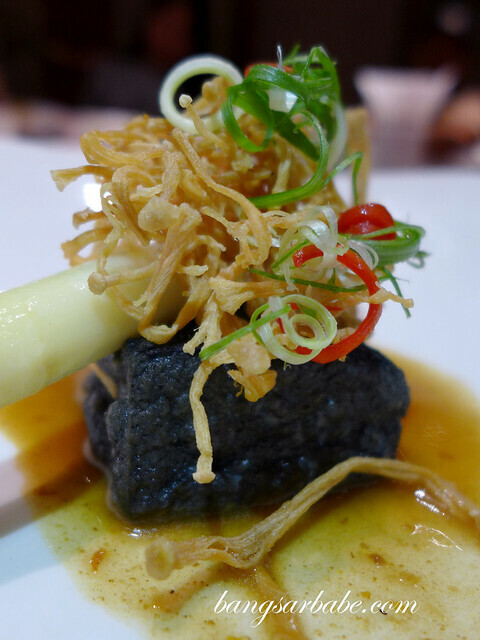 The charcoal beancurd sat on a light yet savoury base with crispy enoki mushroom on top. I liked the texture of the beancurd – soft yet firm enough to hold with your chopsticks and it melts in the mouth. 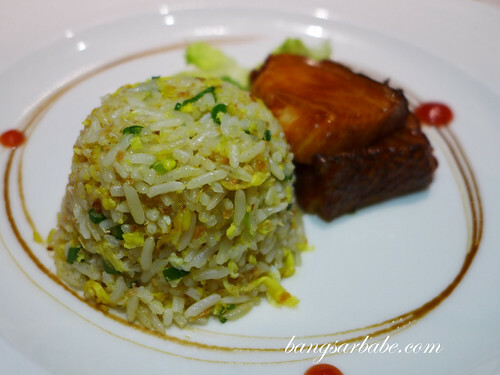 The baked cod fish was garlic fried rice was also good stuff. I’ve eaten this a few times in the past and this round, it was just as delicious. The fish was beautifully cooked, resulting in a firm yet succulent flesh. Aptly paired with fried rice for a balance of savoury and sweet. To end the meal, we had a selection of house mooncakes with the eight treasure sweetened broth – the mooncakes are priced from RM11+ per piece and some of the must-try flavours are the snowskin durian paste, blueberry paste and Pu Er tea. 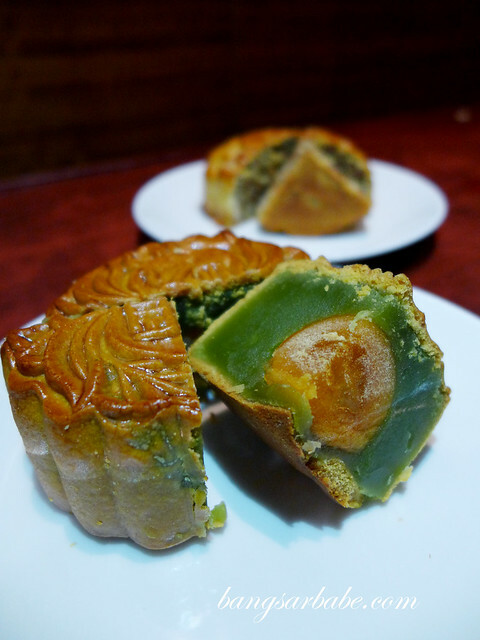 For mooncake bookings or to dine at Ee Chinese Cuisine, call 03-7628 7338. Verdict: The food is really quite good. 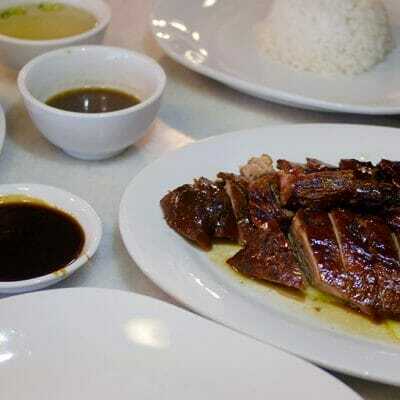 Give this a try if you want a sumptuous Cantonese meal.